Blog – Strona 2 – Fasts from Prussia. 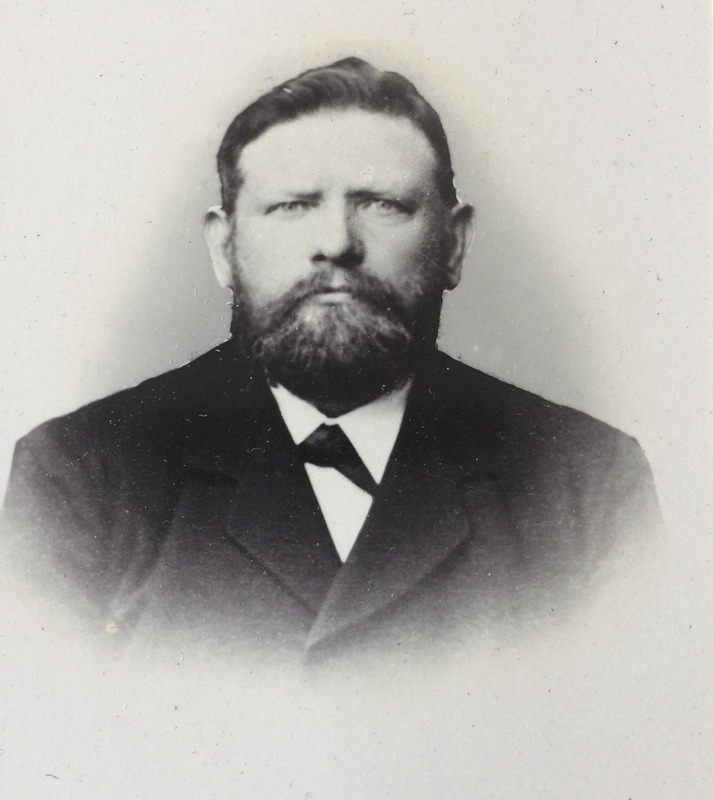 Son of Friedrich Bubert and Johanna born Rabe. 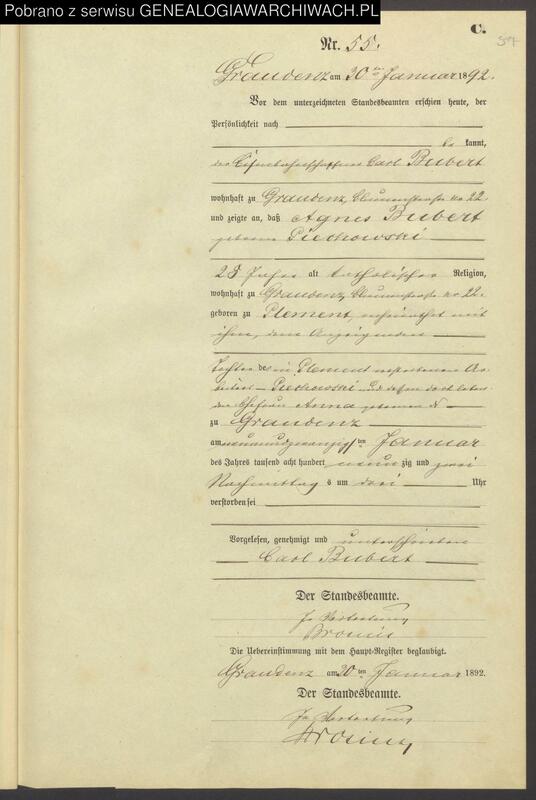 He got married for the first time in October 14, 1884 with Agnes Piechowski, who was born on January 22, 1864 in Plement (PL=Plemieta – a village 16 km East from Grudziadz). 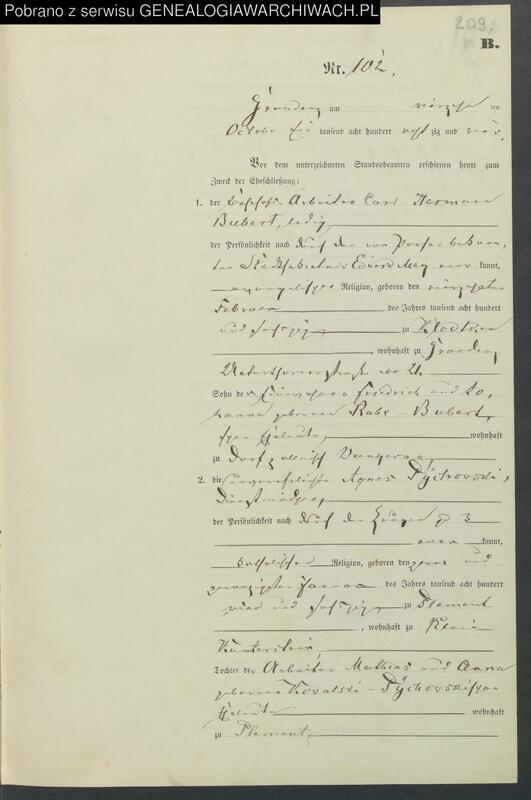 Unfortunately 8 years after the marriage, Agnes died (on January 29, 1892), living 28 years. Carl and Agnes were living in a flat on Blumenstrasse (Kwiatowa Str.) no. 22 in Grudziadz. 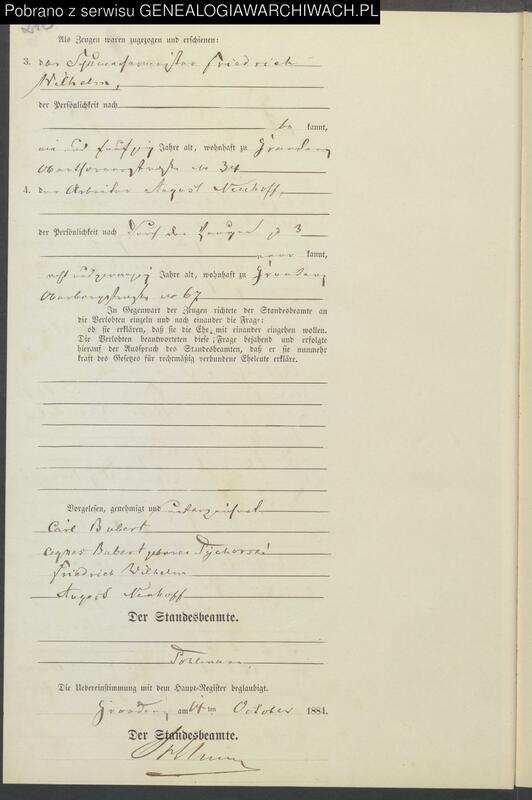 And less than 8 months later, on September 19, 1892 Karl Hermann Bubert (occupation: brakesman), widower, married Johanna Fast (occupation: housemaid), living in Melno [there is an incredible palast, that was owned by Bieler family, so probably Johanna was working there], born on March 30, 1870 in Niederausmas (PL=Dolne Wymiary), daughter of carpenter Johann Fast and his wife Eva, born Foth, living in Nowa Wies (DE=Neudorf). The whitnesses were: Juliusz Neumann, shoemaker, 40 yo, and Karol Baumgart, hairdresser, 27 yo. Next year, on July 17, 1893 first (and last?) 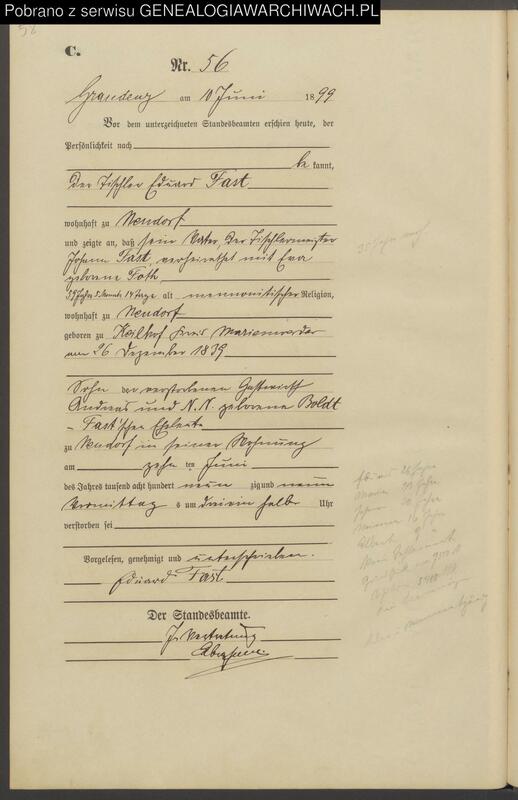 their child was born: Margarethe Helene Bubert. Carl&Agnes are still living on Kwiatowa Str. no. 22. 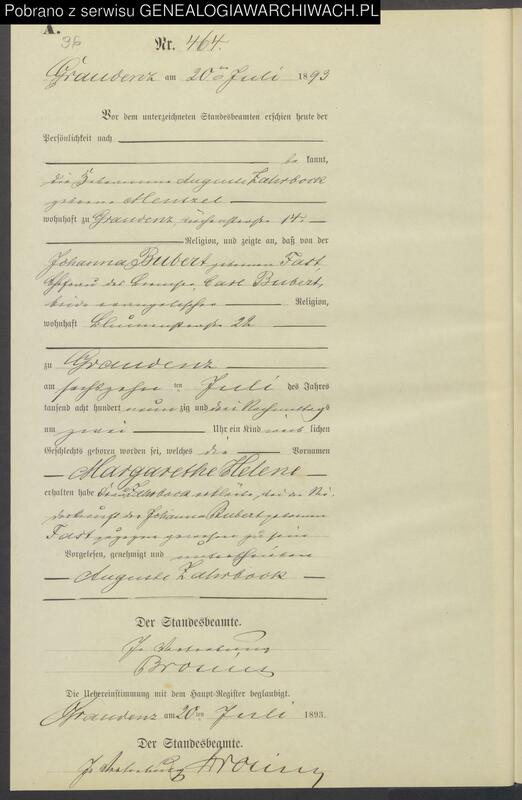 After 9 months (it is written 3/4 of year), on April 4, 1894 Margarethe died. 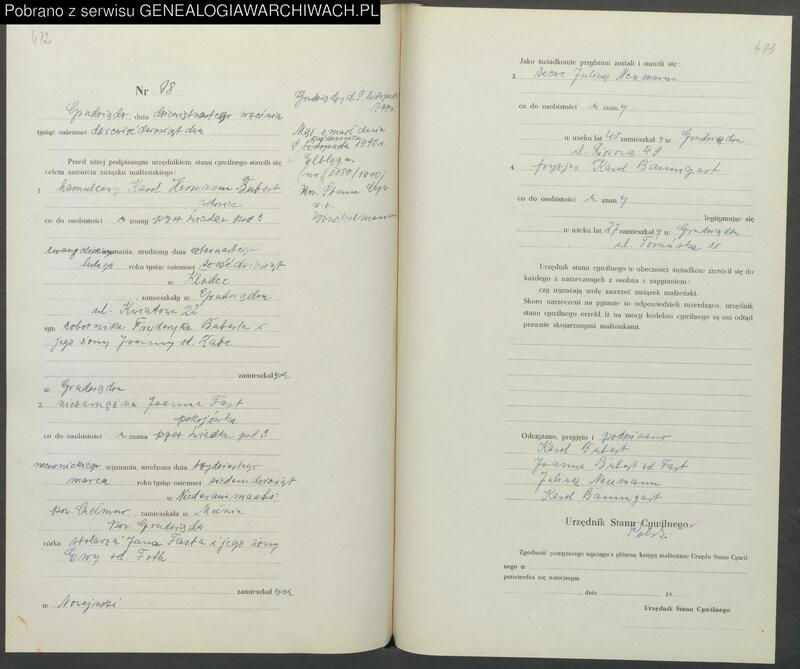 In the Grudziadz’s addressbook from 1913, Carl Bubert, occupation: train manager (Eisenbahnzugfuhrer), was living on Untere Thornerstrasse no. 37 (PL=Dolnotorunska, now=Torunska, opposite City Hotel where you stayed last summer). 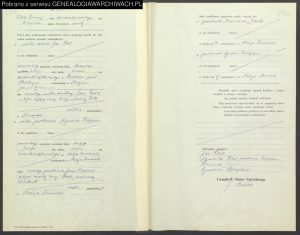 The first Polish addressbook was published in 1924. 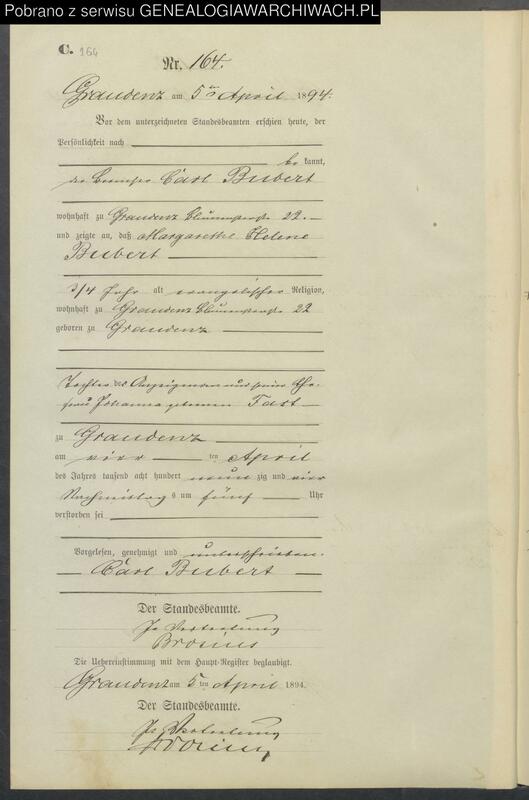 Carl Bubert had left Grudziadz before 1924 (he is not on citizen’s index). 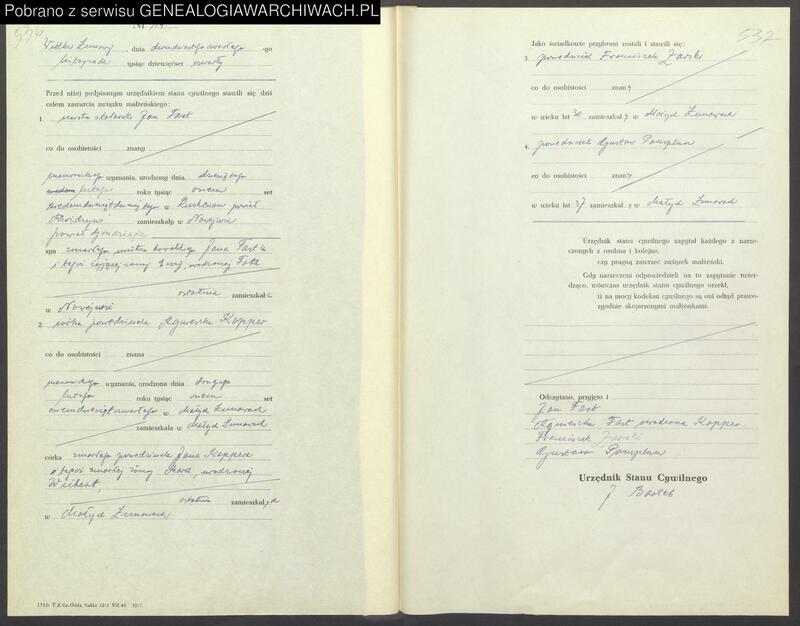 Carl Bubert died on October 9, 1940 in Elbing (PL=Elblag; 100 km North from Grudziadz, 50 km East from Gdansk) – you can find that information written on the act of Carl&Johanna’s marriage. There is also act of death number: 1180/1940, so if it doesn’t burned in 1945, it still exists! What were they doing in Elblag during WW2? Maybe they left Grudziadz with 30 thousand other Germans in 1920-1923 and went straight to Elblag? I will look for any address books from Elblag. As I wrote, there are 3 other Bubert’s children born in 1911, 1912 and 1915, but Johanna was 41, 42 and 45 yo then. Biologically possible to give birth, but between 1893 and 1911 there are 18 years without kids.. In the addressbook from 1913 there was another Bubert: Eduard, builder. Carl’s younger brother? Maybe these 3 kids were Eduard’s?